Do We Write for Love or Money? Reblog: Tim Baker Wants To Know – Do We Write For Love Or Money? 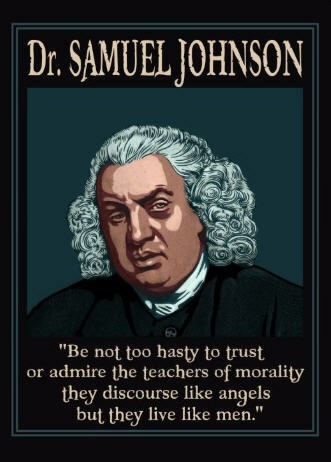 Dr. Samuel Johnson (1709-1784) was a British poet, essayist, moralist, literary critic, biographer, editor and lexicographer. He is generally regarded as the greatest man-of-letters in English history. An author friend of mine named Tony Walker shared that quote with me back in 2009. At the time I hadn’t published my first novel yet and I wasn’t sure if I should be insulted or not. I respected Tony both as a writer and as a person, so I felt obligated to at least consider the possibility. Four years and seven novels later I have had time to give it some serious thought and I’m still not totally convinced of the statement’s accuracy.